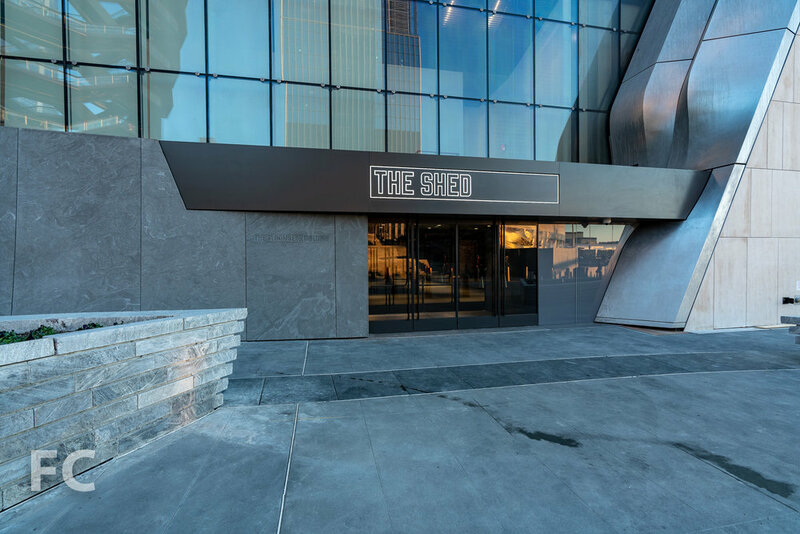 Construction is wrapping up at The Shed, a 200,000-square-foot structure for performance, visual and multi-disciplinary art at Hudson Yards. 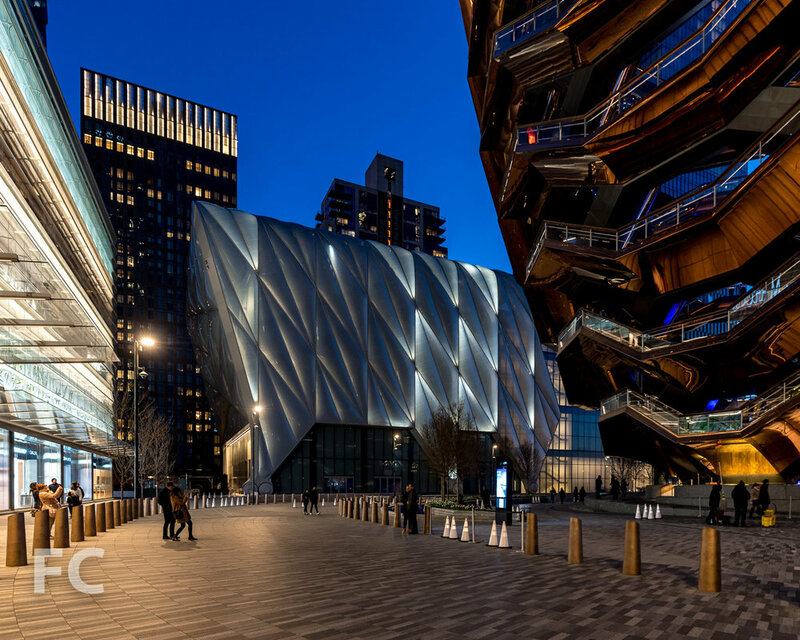 Designed by the Rockwell Group and Diller Scofidio and Renfro, the project is composed of a six-story fixed building and a telescoping outer shell that can expand to the adjoining plaza to provide an additional hall for events. 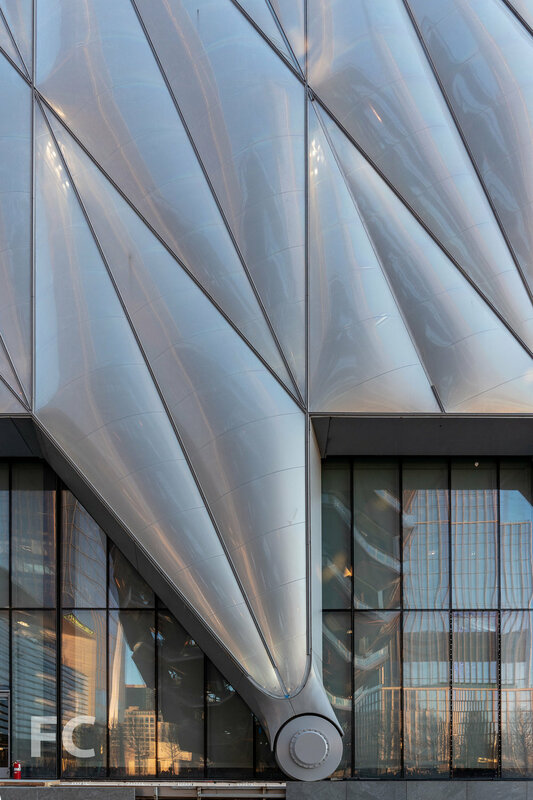 The steel structure, including the roof, is clad in panels of fritted ETFE cushions. ETFE is lighter, more energy efficient, and more economical than glass, which allows for a lighter and more efficient structural system. 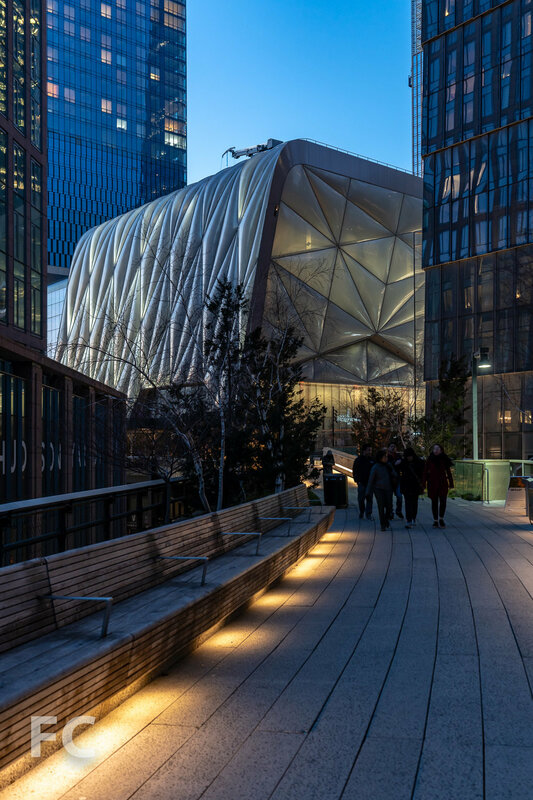 Architects: Diller Scofidio + Renfro in collaboration with Rockwell Group; Developers: Related Companies, Oxford Properties Group; Program: Performance Space, Galleries; Location: Hudson Yards, New York, NY; Completion: 2019.